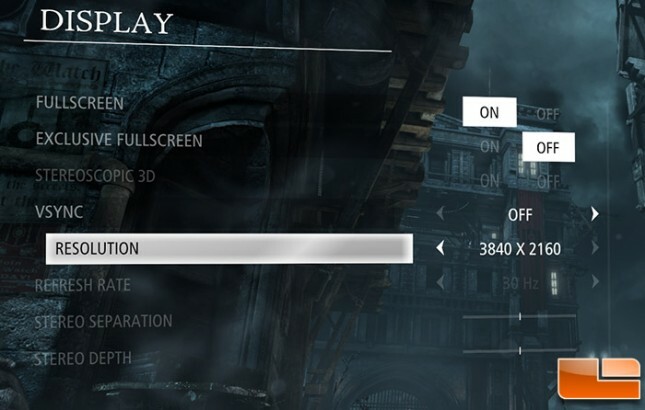 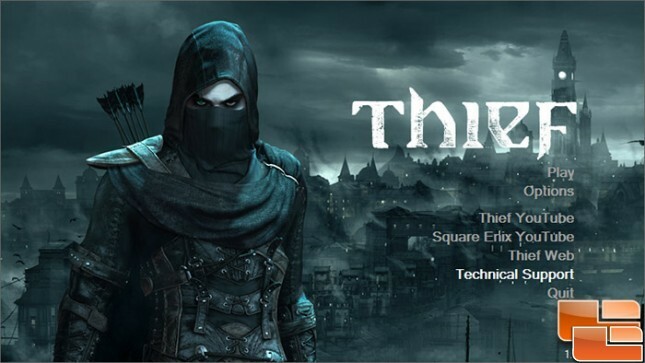 Benchmark Results: On Thief we found the NVIDIA GeForce GTX 980 reference card had an average benchmark run of 50.64 FPS and the GeForce GTX Titan X averaged 62.79 FPS. 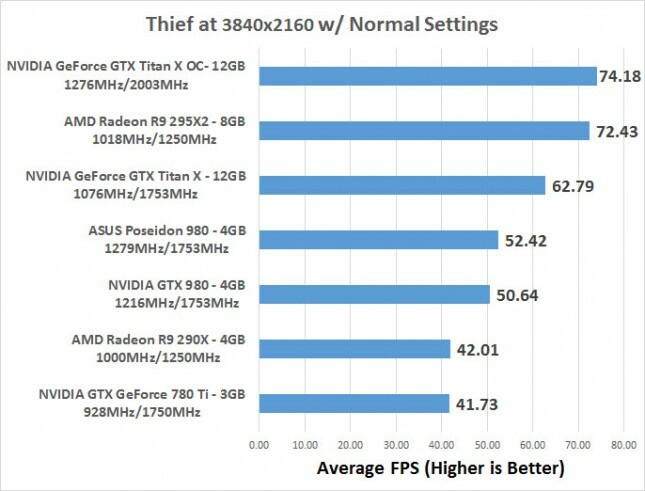 The AMD Radeon R9 295X2 scored 72.43 FPS in stock trim, which the overclocked Titan X was able to surpass with a score of 74.18 FPS. 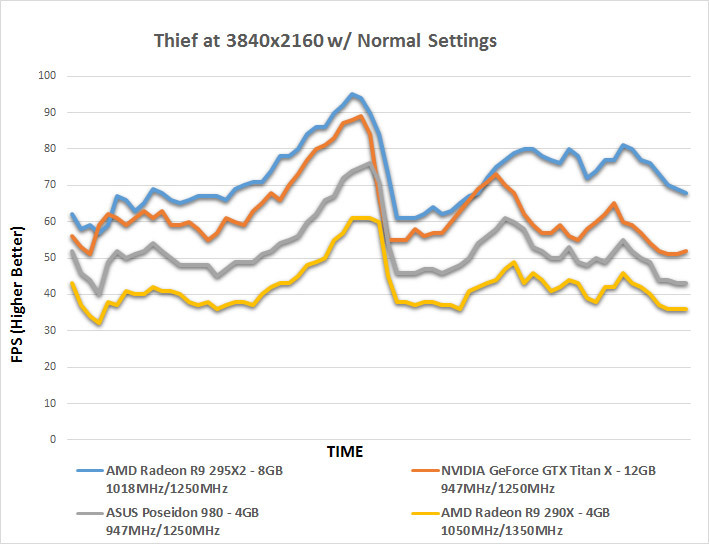 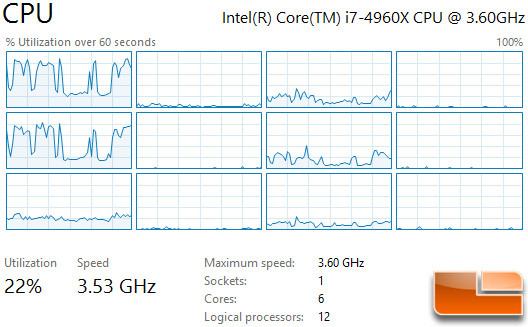 Benchmark Results: The performance over time chart showed no anomalies! 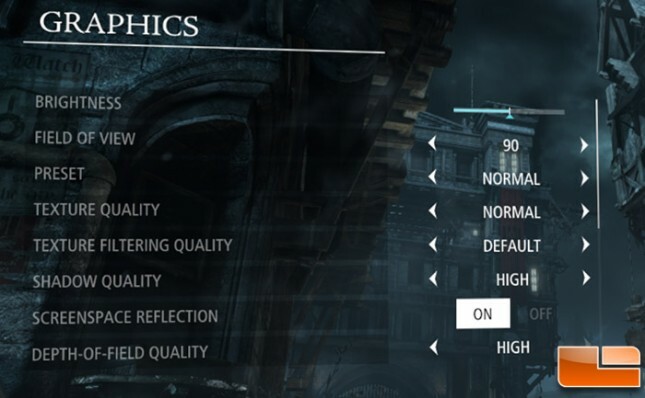 The NVIDIA GeForce GTX Titan X managed to stay above 50 FPS during the benchmark run.